absolute luxury combined with the ultimate Gran Turismo experience. driving skills to the ultimate test. midst of the rolling hills of the Val d’Orcia. to the splendid Hotel De Russie, at Piazza del Popolo in the heart of Rome. of Rome’s key attractions, fashion houses and Via Condotti. Michelin stars), Agata e Romeo (1 Michelin star), Il Convivio-Troiani. harbour on the Roman coast. 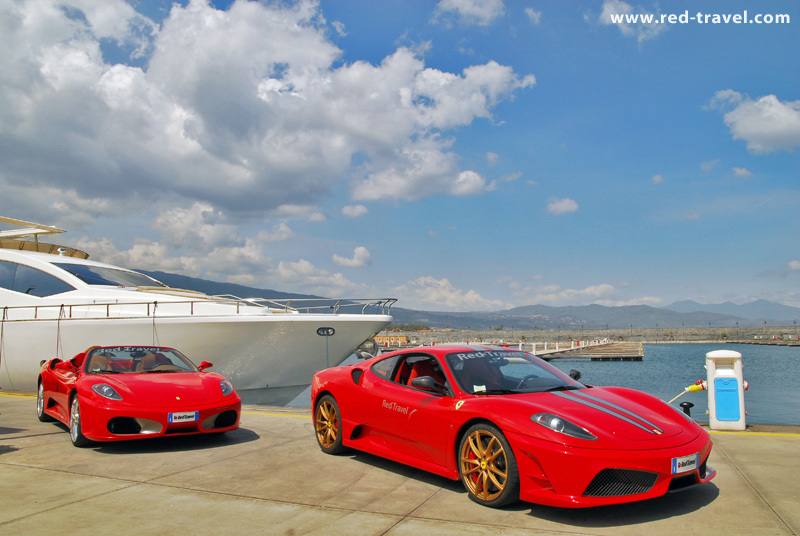 briefing, with your Ferrari scenically displayed in front of the yachts. to handle the F1 paddle-gear shifting behind the steering wheel. · All luggage will be transported separately. 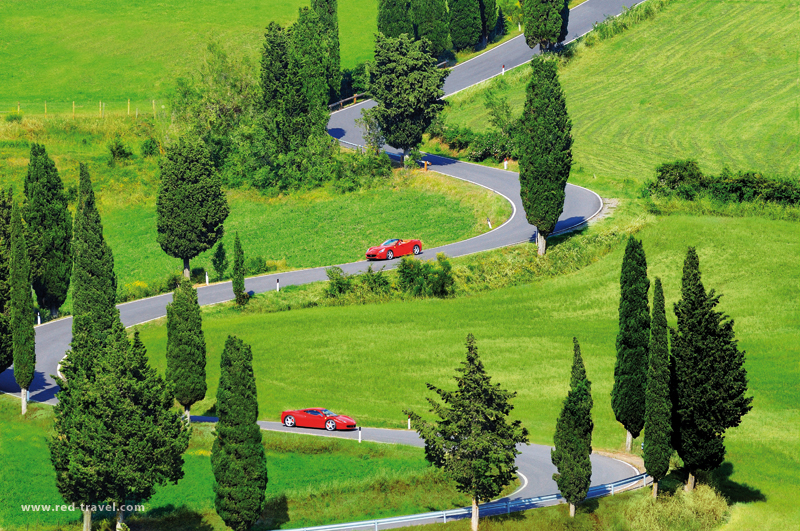 on an amazing succession of rolling hills and never-ending curves! 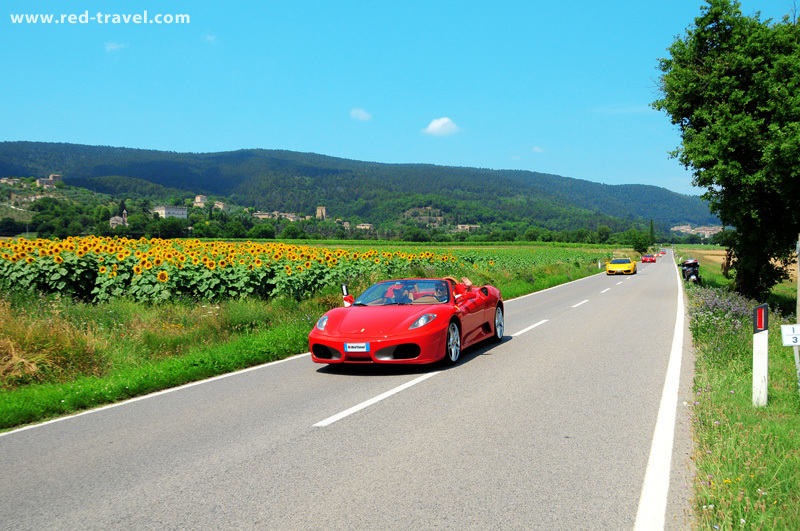 · After the visit of Pienza departure for Fonteverde Tuscan Resort & Spa. 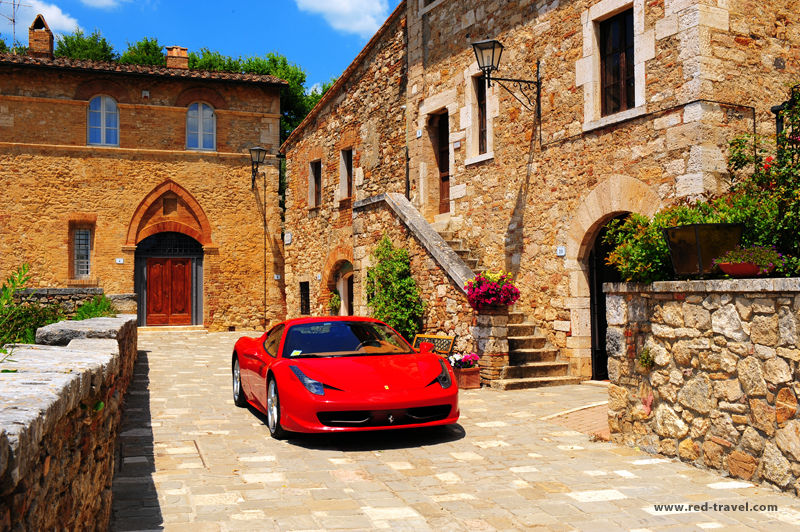 · Arrival at Fonteverde Tuscan Resort & Spa and check-in. present-day comfort in a hotel where luxury engenders relaxation. reputable spa resort set in the midst of the rolling hills of the Val d’Orcia (southern Tuscany). Dinner in Cetona - Restaurant suggestion: La Frateria di Padre Eligio Mondo X.
one of the most beautiful monuments ever built by man - St. Francis’ Convent - founded by St.
Francis in 1212, an unchanged example of the life in convent in the Dark Ages. · Return to the hotel after dinner. invaded and destroyed by the Romans in 264 BC. a labyrinth of underground passages and tunnels. Time at disposal to visit the town and the famous well of St. Patrick. Lunch in Orvieto - Restaurant suggestion: Il Giglio d’Oro. 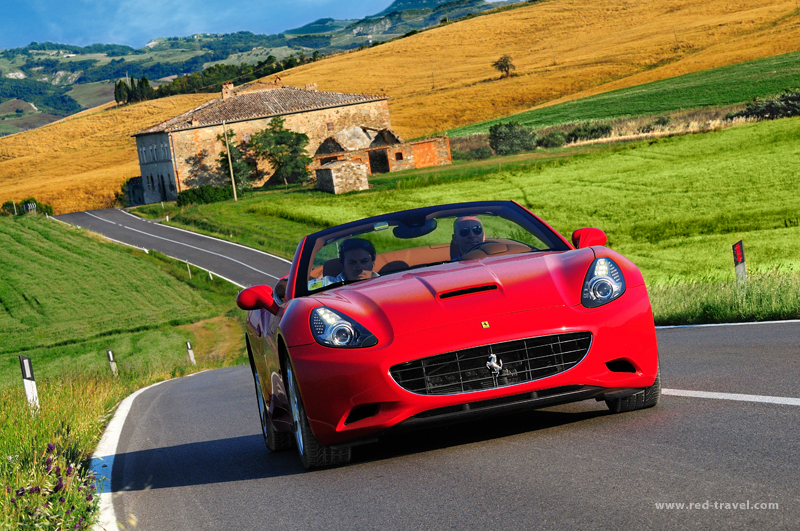 · Departure by Ferrari for Siena. · Lunch in one of Siena’s typical restaurant. · Arrival in Ladispoli (Rome) and check-in at the magnificent Hotel La Posta Vecchia. elegant Cesar Restaurant inside the hotel. Dinner in Ladispoli - Restaurant suggestion: Cesar (1 Michelin star) at La Posta Vecchia. Overnight at La Posta Vecchia 5* (Ladispoli, Rome). of a private noble residence! to the centre of Rome for shopping or sightseeing. Fiumicino International Airport for your return flight.